Recently, however, the findings of a study published in Hepatology have started to change the conversation surrounding the cost of DAAs and lead some to suggest novel (and arguably decidedly un-American) payment models for the treatment of hepatitis C. Billed as the first assessment of real-world clinical and economic outcomes of DAA therapy in hepatitis C, the Hepatology study concluded that patients who take these newer drugs have a lower risk of developing liver cancer and other complications associated with the virus, cost less to insure in the short term, and end up spending less money on their own health care costs over the course of treatment. For both groups, the team used multivariate Cox proportional hazards models to compare the risk of developing hepatocellular carcinoma (HCC) and decompensated cirrhosis (DCC), 2 common complications associated with hepatitis C. Among the 2157 patients with cirrhosis, investigators found that DAA therapy was associated with a 72% and a 62% lower incidence of HCC and DCC, respectively. Similarly, DAA therapy was associated with a 57% and a 58% lower incidence of HCC and DCC in the 23,948 patients with noncirrhotic HCV. In arguably the most compelling findings, within a propensity score-matched cohort of 8064 infected patients who had at least a 12‐month follow‐up after treatment, those with cirrhosis in the DAA group, the mean adjusted liver‐related costs ($1749) and all‐cause medical costs ($19,300) were significantly lower compared with those in the untreated group ($4,575 and $33,039, respectively). Indeed, Dr. Park and her team’s findings come at a time when increased attention is being paid to how other countries are managing the costs associated with hepatitis C treatment. In 2 companion commentaries published recently in the New England Journal of Medicine, the investigators describe innovative drug supply and distribution models used in Brazil and Australia that are designed to reduce the costs of DAAs for patients as well as government-run health care plans. Both countries effectively leverage economies of scale to purchase large quantities of generic forms of the DAA sofosbuvir-daclatasvir, while Brazil has also taken steps to foster production of its own generic versions of the drug. Part of that policy, of course, is the current status of drug manufacturer Gilead’s patent application for sofosbuvir-daclatasvir in the South American country. According to Dr. da Fonseca, the drug patent remains “unsettled” in the midst of ongoing legal challenges. 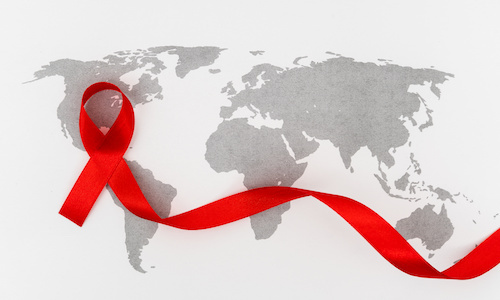 In addition, Brazil isn’t among the 91 countries included in Gilead’s sofosbuvir licensing program, which is designed to make discounted versions of the drug available.